Cernobbio represents minimalism “par excellence”. The sliding glass doors are free from profiles for a limitless visual performance in an interplay of light and shade that recalls the charm of the natural landscapes of Lake Como. Different rooms combine while maintaining their specific functions separated. Thus, an elegant and functional project aimed at giving width and brightness to living and work places, hotels and spas common areas, was born. Purity and transparency of glass meet the materiality of aluminium, which draws a thin frame. Such as the views that make Bellagio unique, offering outlooks of a vivid nature which is mirrored in the lake creating sparkling reflections, so the aluminium profiles made with innovative and elegant finishes offer a new perception of the space. With Bellagio sliding doors spaces maintain a physical continuity, while respecting their functional independence thanks to a minimal design solution marked by a sober decoration. “Zero” is the prominence of the panel from the wall, to make the door a sober and refined architectural element, capable of interpreting and fitting into any decor, both modern and traditional, thanks to its broad range of finishes. V0 is Viva's flush-to-wall door solution. Its frame can be finished like the wall, it is suitable both for drywall and for plaster, and installation is quick and easy. 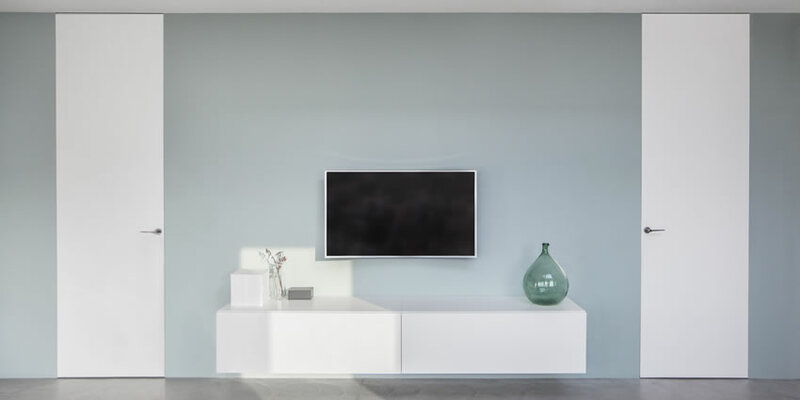 Viva's research has resulted in a door with distinctive technology and quality that seems to vanish into the wall, for both the push and the pull variants, to adapt perfectly to any project requirement. 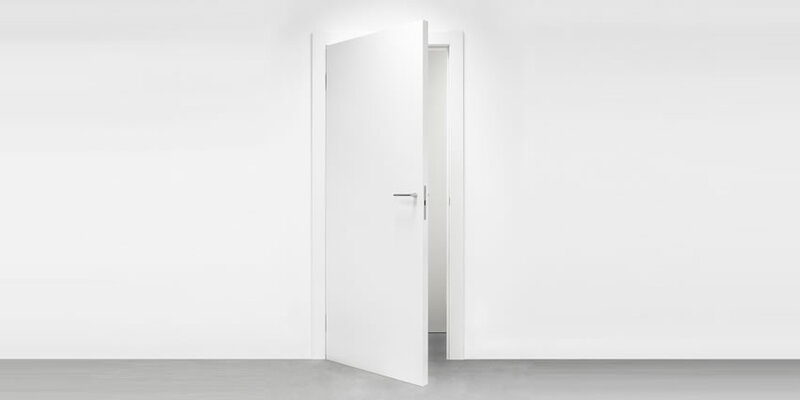 The design and technology of this door are unique: it is characterized by a panel thickness of 58 mm, with high stability and solidity, with light-tight stops on three sides, invisible adjustable hinges and magnetic lock.